Stunning award handmade in 35mm thick flawless optical crystal. 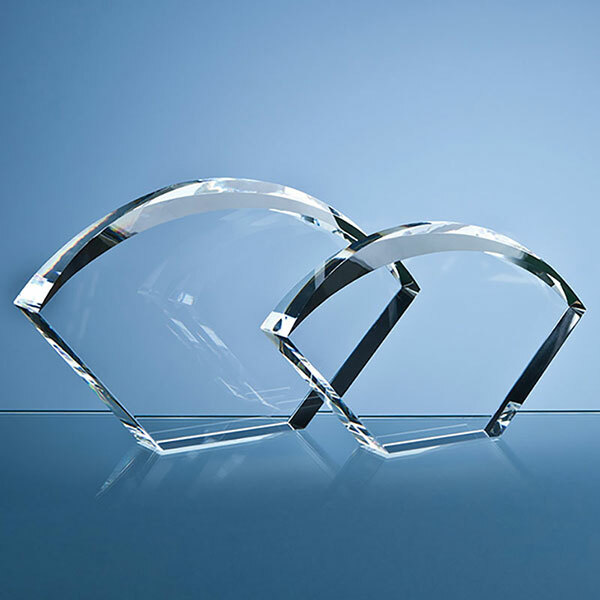 The bevelled edges on these arch shape awards are hand polished and the entire piece weighs in at 1.8kg. A modern award suitable to recognise and reward achievement in a wide variety of fields, these bevelled arch plaques provide a large area for engraving of winner or event details. They are offered here with both text and/or logo engraving options. Each award is supplied in a black foam-lined presentation box.